At Inductive Automation we are committed to the success of our clients. We stand behind that commitment by offering expert training and continuing support. As part of that ongoing effort, in addition to our 5-day Ignition core training course and our 3-day advanced course, we recently started offering a new 4-day training course for the OEE Downtime Module. One of the attendees of our most recent OEE Downtime Module training course was Garrick Reichert. Garrick is a Senior Controls Engineer for Kasa Industrial Controls. As a Premier Integrator for Inductive Automation, Kasa Industrial Controls has done some very good work using Ignition. In fact they recently used Ignition to help a major food processor make the move from hand recorded tracking to real-time data acquisition (click here to read the case study). Garrick was a key member of the team that worked on that project, and his ability to effectively use Ignition was a big reason for its success. So why did he come back for more training at our training facility in beautiful Folsom, California? Garrick explained, "I attended the Ignition core course about a year ago and it was great; I learned a lot and it really helped me in developing new projects in Ignition." "I've worked quite extensively with Ignition to put in new web-based SCADA systems for our clients, but a lot of them have also asked for the ability to track downtime and measure OEE. 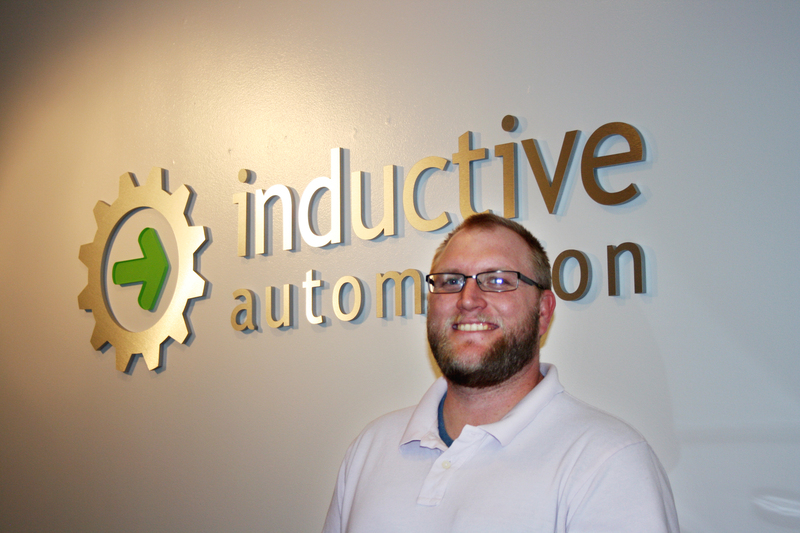 When I heard that Inductive Automation was offering a course for the OEE Downtime Module I was very interested in going back to Inductive Automation for more training." As a senior controls engineer, Garrick gets to work on projects for a variety of industries, making software flexibility an important aspect to his work. "As an integrator I really like the variety of work that I get to do on a daily basis,” he said. “I get to work on projects for various industries and each one has its own set of unique challenges. That's why I was so impressed with the flexibility of the Ignition OEE Downtime Module. It's incredibly easy to customize to whatever industry that you might need. "In the training class we had guys working on all different types of projects for different industries – plastics, metal extrusion, canning, and several others. By the end of the course, everyone was able to use the module to create a custom project that specifically addressed the needs of that industry." In the class, trainees are given hands-on training with the OEE Downtime Module by the people who created it. Each trainee works at their personal workstation and can receives one-on-one instruction throughout the course. After working directly with the OEE module, Garrick shared his thoughts about it: "The thing I’m most impressed with is just how easy it is to work with the module. It has the ability to take a large amount of data and filters it down to very easy-to-understand visual measurements of OEE. That kind of ease of use really makes my job easier." "I definitely recommend the course. Regardless of whether you are an integrator creating new projects or a company that is using Ignition, if you are looking to get an OEE tracking system going, then this is a great course to take." We enjoyed having Garrick come visit us in Folsom, and we invite you to come visit us as well. We are committed to your success using Ignition and we a constantly striving to empower you with the tools necessary to get the job done.